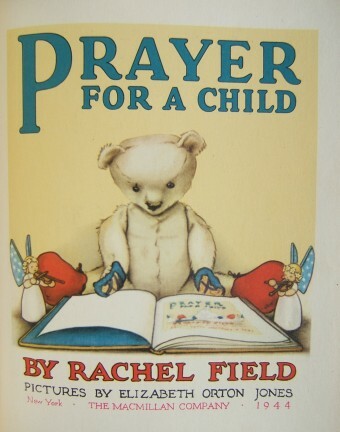 Prayer For A Child; written by Rachel Field; illustrated by Elizabeth Orton Jones; Macmillan; 1944. A year earlier, Elizabeth Orton Jones won a Caldecott Honor award for her illustrations in Small Rain (Viking, 1943, $280). Twig (Macmillan, 1942, $240) and Big Susan (Macmillan, 1948, $220) are two of her better known books, both difficult to find in first edition collectible condition. 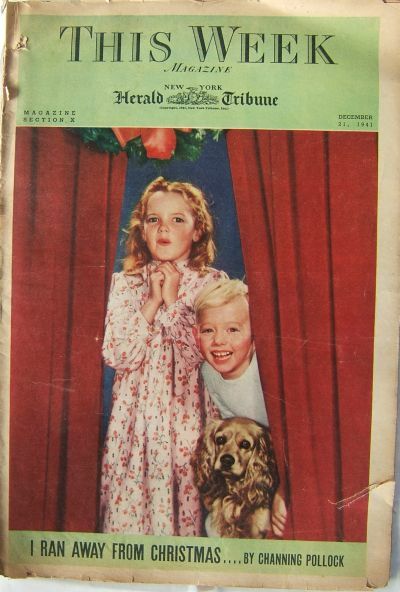 Likely her most sought after title is the Little Golden Book, Little Red Riding Hood (Golden, 1948, $220). 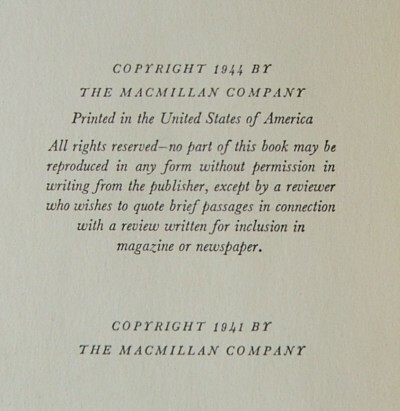 The text was copyrighted in 1941, the illustrations in 1944 (with the publication of this book). Rachel Field, author of Prayer For A Child, won the Newbery Medal in 1930 for her book, Hitty, Her First Hundred Years. 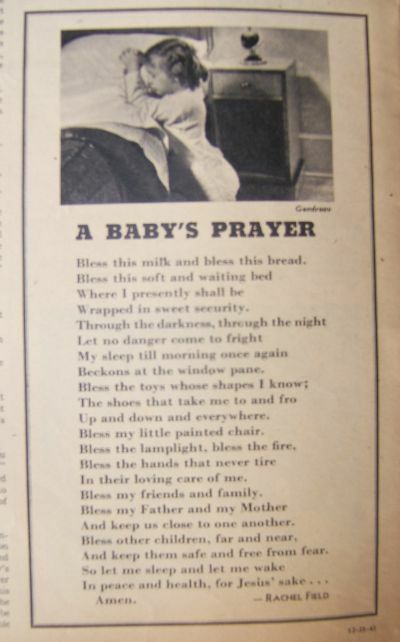 She wrote Prayer For A Child for her daughter, Hannah, in 1941 – in what book/magazine was the poem published (else why copyright)? 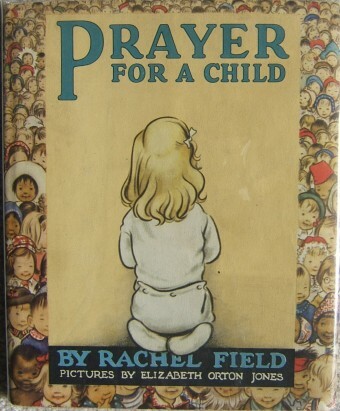 "Do not be misled by those who would tell you that the first publication of "Prayer for a Child" was in the July-August 1942 issue of THE HORN BOOK, page 283, the issue dedicated to Rachel Field. The poem actually first appeared in THIS WEEK magazine, formerly the NEW YORK HERALD TRIBUNE MAGAZINE, for December 21, 1941. THIS WEEK was a national Sunday magazine distributed in a number of Sunday newspapers (kind of like the PARADE of today)."